VSII is ISO 9001:2008 certified and its comprehensive Quality Management System ensures its entire software development process, including validation, are conducted best practices. VSII has been awarded and included on the Inc. 500 | 5000 annual ranking of the fastest-growing private companies in America for several years including 2008, 2009, 2013, 2014, 2015 and 2016. The list has served as evidence of the significant accomplishments of entrepreneurial companies. 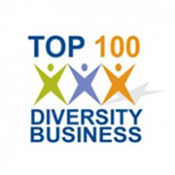 VSII has been recognized as one of the Top Businesses, under various categories in the USA by Diversity Business Council. VSII has been recognized as Chamber of commerce.